Minimum 1 hour booking starting at $300. MDaneille Jazz Vocalist can provide the perfect accent to your wedding, private party or other special event. MDaneille channels the jazzy style of Billie, Sarah and Ella combined with the soulful vibe of Chaka Khan. MDaneille can perform for your event in duo, trio or quartet. Repertoire includes Jazz Standards, Classic Soul/R&B, Blues and Gospel. Marcya Daneille is available for advanced date bookings as well as last minute opportunities. Chicago, Milwaukee, nationwide! Price Range: Minimum 1 hour booking starting at $300. Insurance: $1,000,000 - General Liability (limited) if required by venue and requested by client in advance of booking. Cost of coverage may affect total booking rate. 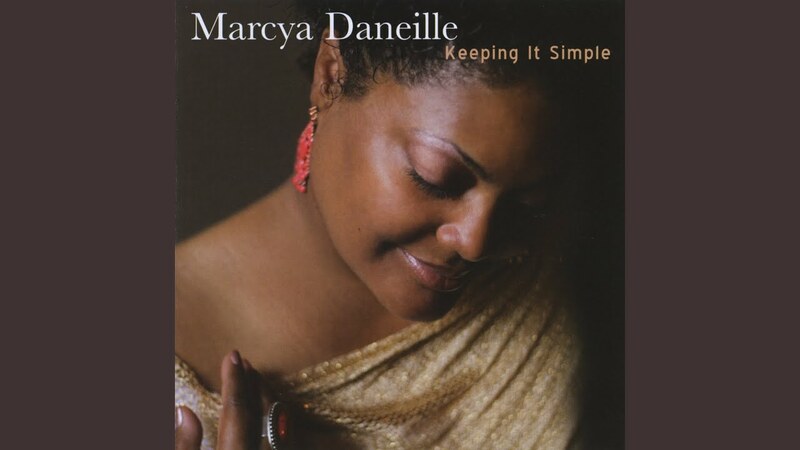 A classically trained vocalist, pianist and a contemporary voice specialist with Jazz, Soul and Gospel influences, Marcya Daneille is a cross-genre singer who can swing her way through a Jazz Standard, groove on a classic Soul tune or reach for the heavens with her own special brand of Gospel Jazz. Born in Germany to musical parents, Marcya was raised in a nurturing musical environment where she was exposed to a wide variety of vocal and instrumental music. She began studying piano at the age of 7 and voice when she was 15 years old. Marcya also began singing professionally when she was 15 and continued to work as a vocalist while she completed a B.A. in Philosophy/Voice Performance at Roosevelt University (Chicago Musical College). As a classical singer, Marcya started working on the Chicago area opera scene while she was studying voice at the Chicago Musical College. Her first opera contract was with the Lyric Theater of Illinois. A few years later she became a featured member of Lincoln Opera Chicago. Eventually, Marcya decided to leave Illinois to pursue graduate studies in Voice Performance at the University of Iowa. The time Marcya spent in Iowa yielded the wonderful opportunity to experience life and music on an international level. She spent time performing, teaching and studying in Italy and England. It was while living in England that Marcya began to more thoroughly explore the Jazz idiom by sitting in with some of the local musicians at jam sessions in London. This experience taught Marcya how to marry the most salient aspects of her technique with a variety of styles of music. Shortly after returning to the United States, Marcya decided to relocate to New York City to further develop her career. For more than a decade Marcya performed and taught private voice students In NYC while she fully embraced a crossover career that would combine elements of Jazz, Soul and Gospel music. The result of this transition can be heard on her debut CD entitled "Keeping it Simple" which was executive produced by Jazz trombonist Wycliffe Gordon and engineered by the late Emmy award winning audio engineer Jim Czak. In addition to Mr. Gordon playing trombone and piano on "Keeping it Simple", the CD features performances by Wycliffe Gordon-trombone/piano, Aaron Diehl (Cecile McLorin Salvant) piano, and Dezron Douglas (Cyrus Chestnut) bass. This a very small sample song list. Marcya's repertoire is extensive and she will honor special requests.